Should You Move Manufacturing From China to Thailand? 1. Why would companies transfer to Thailand from China? 4. What preparations you should do before you make the call? Why does it seem that foreign companies are fleeing China? What is happening to the world factory? China has always been regarded as a world factory with its cheap labor and relatively cheap land prices. It has attracted a large number of companies from all over the world. However, with increasing human price and higher urban land prices in China, many multinational companies already have plans to withdraw from China. Where is their next destination? The answer is Thailand! Why would companies transfer to Thailand from China? What do you need to do if you move your business to Thailand or stay in China? At the same time, the cost of land has continued to rise, but the state’s tax incentives have decreased. As a result, the profits from investing in China has become lower. Not only so, preferential policies toward foreign companies are no longer available. Many favorable treatments for foreign-funded enterprises have also been abolished, and the threshold is getting higher. The Chinese government has also put forward many requirements restricting businesses to stay in China. Such regulations include industrial structure and how environmentally friendly are these companies. Confronted with fierce market competition, many long-standing enterprises have failed to respond and adjust in time. Their transformation is not timely, resulting in operational failure. The decline in profits makes it impossible for these companies to support their operations, so they have to withdraw from the market competition. Nokia, Motorola are two of the well-known examples. It’s true that investing in China is increasing expensive, and it’s reasonable for companies to withdraw from the Chinese market. Not to mention that fact that the major manufacturing sectors in Thailand are cars, computer components, chemicals and food processing, which covers all the aspects of technology, energy and life products. That said, in recent years, Thailand has played an important role in the manufacturing process of these industries. Low prices and relatively good quality make Thailand’s products competitive in the world market and become an alternative to China. The country experienced rapid growth from 1985 to 1996, the growth rate could reach up to more than 12% each year. Today, Thailand is the world’s second largest producer of hard disk drives (HDD). So why do these companies choose Thailand? Is Thailand the best alternative for China? Then, let’s talk about the strengths and weaknesses of investments among auto industry, renewable energy and HDD manufacturing industry in Thailand compared with China. The government has invested a lot of effort in the auto industry to help operators expand their exports, hold exhibitions and invite important units to visit Thailand. The world-renowned automobile and spare parts manufacturers have established joint ventures in Thailand. In recent years, automobile spare parts industry has also made Thailand one of the important spare parts producers. It also supplies the global automotive parts market. The number of vehicles in use in Thailand is estimated to be about 16 million. Therefore, the automotive after-sales service maintenance market is generally promising. Local manufacturers and component manufacturers are mostly controlled by European, American, Japanese and Korean manufacturers. However, the technical level and quality of local manufacturers are not as good as those of Chinese manufacturers, because China has more mature production processes, more complete supply chains, and experienced experts. Global component manufacturers still have room for development in the after-sales market in Thailand. 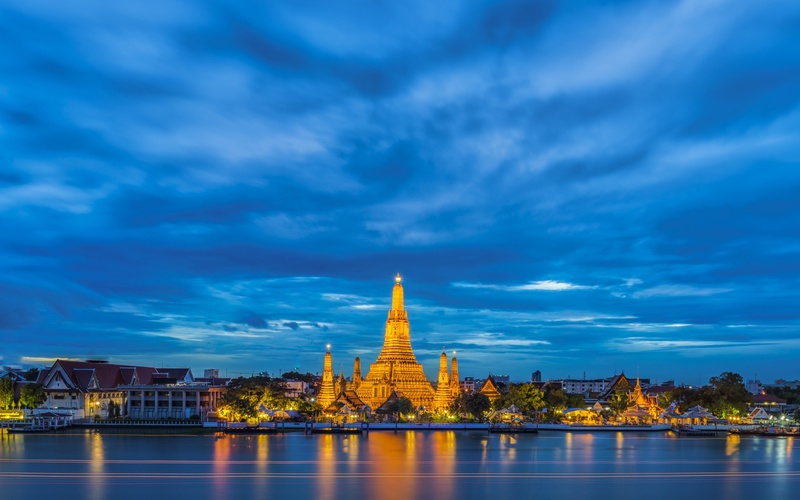 Thailand is emerging as an attractive destination for renewable energy investment, as the government looks to reduce the country’s reliance on gas-fired power. Currently, gas-fired power generation accounts for around 65% of the electricity mix, and the country seeks to reduce to 40% by 2036 according to its PDP 2015. Thailand’s own gas reserves have been declining since 2002 and Myanmar – supplying a quarter of Thailand’s gas imports – is likely to cut down on export volumes due to a surge in domestic demand. In addition, it wants to increase the share of coal and renewables. Around 20 percent (19,635 MW) of the Thai electricity mix in 2036 should come from renewable sources. To realize these ambitious targets, the government has introduced a number of policies to support growth in the industry and encourage investment, including feed-in-tariffs, tax incentives (tax holidays) and energy production payments. Solar energy projects have the highest feed-in-tariff (measured in THB/kWh) subsidies, followed by wind. In the past years, several FiT programs have begun with especially high rates for smaller solar energy projects. By giving the highest FiTs to the smallest producers, the Thai government aimed to promote green energy communities and small scale rooftop programs. Currently, there is no more room for new FiT applications and the surge of emerging projects seems to be decreasing. HDD production in Thailand began in around 1983 after Seagate Technology shifted Head-stack assembly (HSA), the most labor-intensive segment in HDD production process out of Singapore. It was relatively low-wage labours as well asthe conducive investment climate in Thailand that enticed HDD makers. Import content of HSA export was about 80%. Despite the presence of high tariff, HDD makers were eligible for input tariff exemption schemes as their products were for export. From then on, incumbent expanded its production capacity and add new activities whereas there have been numerous newcomers including part suppliers and other HDD makers. In 1987, Seagate expanded their existing capacity as well as started high-volume production of Head-Drive Assembly (HDA) in Thailand. This demonstrated net gains of carrying HDD production in Thailand to other HDD firms. In addition, Seagate Technology involved training of numerous technical workers and enhanced availability of skilled labour. This in turns created a positive impact in enticing other key players in the HDD industry. IBM formed a joint venture with a Thai conglomerate, Saha Union in 1991 and started manufacturing HDD in Thailand, followed by its own production facility in 1997. Compared with China, HDD manufacturing in Thailand has a longer history and more mature, which leads to the world’s second largest producer of hard disk drives. Although many labor-intensive industries have certain advantages in developing in Thailand, does it mean that any company is suitable to move out of China and go to Thailand for development? The answer is actually “No” because there are also many disadvantages in Thailand. A possible threat to foreign investments in Thailand lies in the country’s political instability. Over the last decade, there have been two military-led coups following frequent protests. Rapid shifts in political power and social order could be cause for concern when sourcing from Thailand. Thailand’s geography poses a second threat. Heavy rains during the country’s monsoon season have led to significant flooding. Lastly, the country’s relatively high minimum wage makes sourcing from Thailand a less attractive option for some. Also, decline in surplus labor is expected to push wages in Thailand even higher. So, now is your turn to decide to stay in China fighting for more profits or digging more gold in the Thailand market! If you choose Thailand for lower land price, you also need to bear in mind that you should face political instability, floods and high minimum wage, which will limit your business development. However, if China is your final option, China will likely remain a dominant player in global manufacturing for the foreseeable future, and will likely continue to be the leading production option for many companies, especially those serving markets in China and other parts of Asia. As companies, when you choose a location in China, you need to take a holistic, long-term view that examines operating costs, business conditions, and risks, and then make decisions based on your own specific business requirements. We, Insight Solutions Global, are always willing to help you out. Reach out to us and see how we can help your reduce risk and cost for your supply chain, and drive your supply chain performance up to the next level. That’s all about the issue of whether you should choose Thailand or China! We hope it’d be helpful. Please feel free to leave your comments below, if you have any questions.